Scottish. 7th VB Argyll & Sutherland Highlanders Dollar Institution Cadet Corps glengarry badge circa 1890-1908. A fine rare die-stamped white metal example on two of four loops. 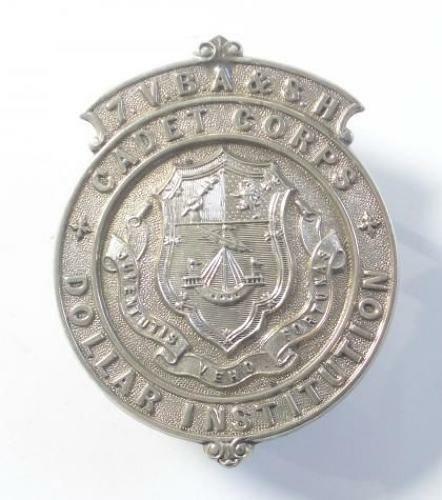 Circlet inscribed “Dollar Institution Cadet Corps” surmounted by scroll “7. V.B. A & S. H”; Dollar Arms to centre. See “Scottish Regimental Badges 1793-1971” by W & K Bloomer No. 255.